Calvin Klein presents an exclusive capsule collection pairing iconic Calvin Klein Performance pieces with works of the legendary Pop artist Andy Warhol. 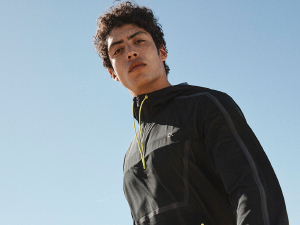 This classic track jacket crafted from comfortable stretch material features a stand-up collar, front zip fastening, elasticated cuffs and hem and side welt pockets. 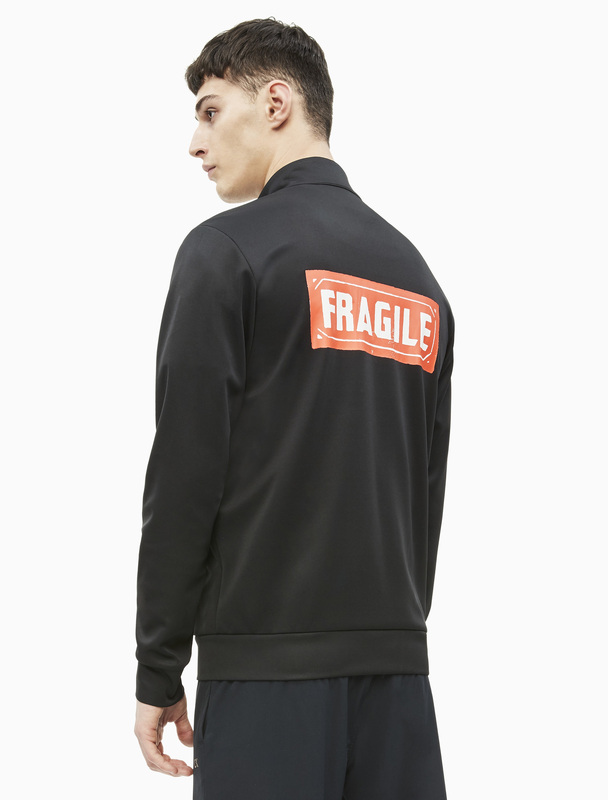 The jacket is highlighted with Warhol's Fragile print on the back.